White organza canopy installed by Party People Celebration Company to soften the Lake Mirror Auditorium. 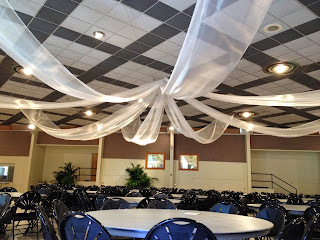 Gold organza on either side of the screen to give a little pop of color. 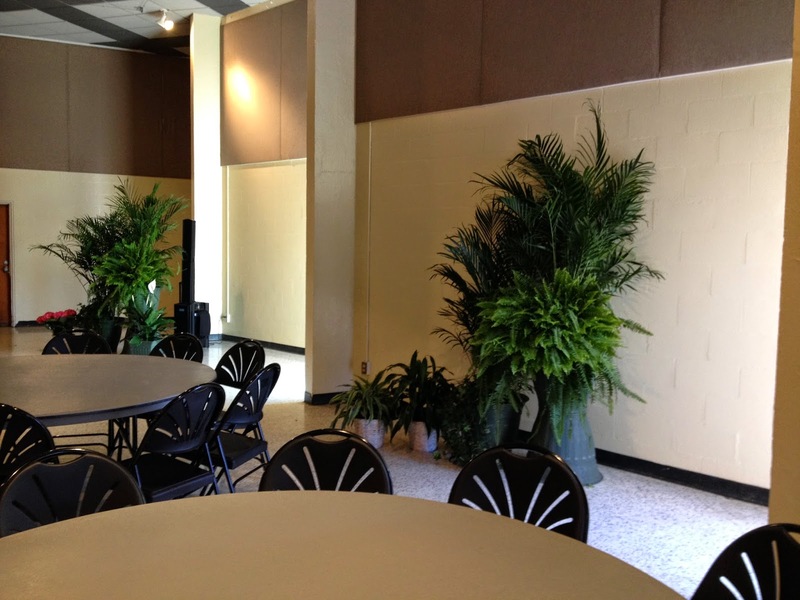 Plants by Johnson Plant Rental Party People Celebration Company is based in Lakeland Florida, and travels throughout Central Florida to provide decor for special events. 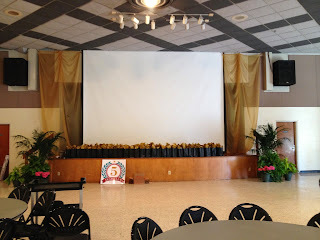 Visit our Website http://partypeoplecelebrationco.com Call 863-255-2025 to have Party People Celebration Company transform your space for your special event.